How Do You Get Relief from Itchy and Burning Skin? 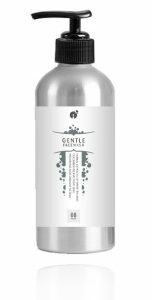 Our Gentle Face Wash contains mild cleansers and natural extracts of cucumber and white tea and will leave your face feeling clean, soft and refreshed. You may experience this on a daily basis: At the end of a stressful day, your face feels painfully itchy and burning. You cannot wait to get home to wash your face. Reverta’s Gentle Face Wash instantly cools your face as the cucumber extract soothes burning sensations. Fresh extracts of white tea will take away the itch and provide antioxidant support. Because Gentle Face Wash does not contain any harsh chemicals, you may use it multiple times a day. 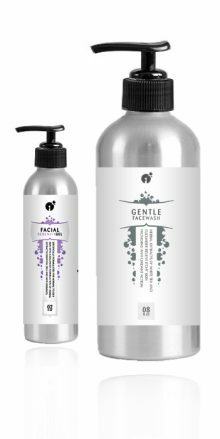 Why Gentle Face Wash Does Not Contain Sodium Lauryl Sulfate or Sodium Laureth Sulfate? Many facial cleansers, shower gels and shampoos on the market today contain toxic detergents. Two of these detergents that can hurt your skin or scalp, are Sodium Lauryl Sulfate and Sodium Laureth Sulfate. Many personal care products contain these harsh detergents, because they’re cheap and produce a rich thick lather. However, these ingredients may be damaging and irritating your skin, especially if you have sensitive skin. In addition, Sodium Lauryl Sulfate and Sodium Laureth Sulfate will dry out your skin. Reverta’s products only uses ingredients that will never irritate the most sensitive skin. Gentle Face Wash only uses the most gentle cleansers, which are more expensive, but safer to the skin. Try Gentle Face Wash Risk-free for 3 Months! White tea is made from the new leaves and buds from the tea plant Camelia sinensis. The leaves are then steamed prior to drying to prevent oxidation. White tea leaves therefore contain larger amounts of catechins than green tea, which is processed later. 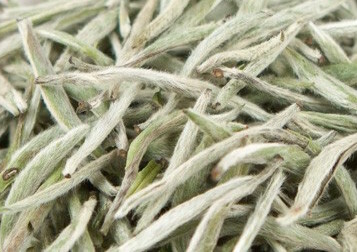 The white tea variety “Silver Needle” (baihao yinzhen) is the most expensive white tea with the most benefits. Due to minimal processing, use of white tea has higher than normal medical benefits. White tea contains a high amount of antioxidants and contains compounds that are anti-microbial. It soothes and protects skin and relieves deep itch. Its skin rejuvenating effects can be attributed to the glycolic, lactic and salicylic acids present in cucumber fruit, which help to loosen dead skin cells. 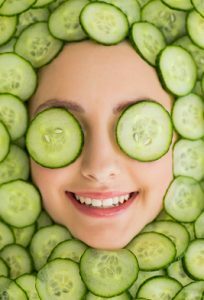 Cucumber helps to hydrate the skin and reduces swelling and puffiness of the skin. It is high in vitamins C, K and pro-vitamin B5, all of which are skin protective. Cucumber calms the skin and relieves the skin of itch. Pro-Vitamin B5 (Panthenol) is naturally present in all living cells. It reduces itching and has anti-inflammatory benefits. It relieves dry and rough skin. Pro-Vitamin B5 is good for moisturization and relieves redness due to irritation. Coco betaïne (derived from coconut oil) is a very mild detergent that makes the skin feel soft and smooth. Besides using a soap that is not irritating your sensitive skin, it is important to keep in mind these general guidelines about washing your face. First, it is important not to over-stimulate your skin. Therefore, always use cool to lukewarm water and start by wetting your face. Take a small amount of our Gentle Face Wash and spread it out over the entire face without rubbing too much. Rinse with plenty of water and pat dry. If you can, use a separate towel for you face and replace the towel frequently so that you do not re-introduce bacteria on your face. We recommend that you do not apply any topical skin care products on your face within 20-30 minutes of washing your face. Washing causes the pores in the skin to open up and applying any topical skin care products right after washing may cause irritation. If you are used to washing your face before bedtime, we recommend washing your face after coming home from work, so that the skin has plenty of time to dry before applying any facial skincare product. Try Gentle Face Wash 90 Days Risk-free! distilled water, Coco Betaine, Poly Decyl Glucoside Carboxylate, Sodium Lauroyl Lactylate, PEG-0 di-Stearate, Sodium PCA, Provitamin B5, White Tea Silver Needle (Baihao Yinzhen) extract, Cucumber (Cucumis sativus) extract, Citric Acid, Phenoxyethanol (preservative), White Tea (C. sinensis) Fragrance. 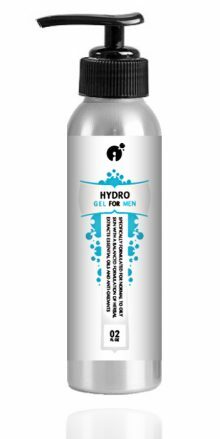 Wet face with lukewarm water and gently massage face wash onto face. Rinse with plenty of lukewarm water. Use a clean towel. Avoid contact with eyes.